The deadline for this travel grant was on November 12th 2018. From a selection of entries, the winner is Rafael Webster, from Brazil. We are delighted for him to be joining us in Liverpool. 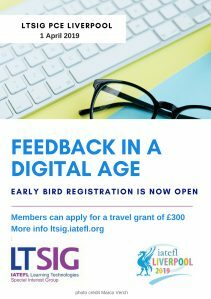 The IATEFL LTSIG is thrilled to announce it is offering its members one new scholarship for the IATEFL LTSIG Pre-Conference Event ‘Feedback in a Digital Age’ to be held in Liverpool, 1 April 2019. Full details of the event can be found on this separate post. The IATEFL LTSIG values Continuous Professional Development (CPD) as a career-long obligation for practising professionals. Well crafted and delivered CPD is important as it offers benefits to the individual, their profession and their teaching context. For this reason, we are offering the specific grant for CPD purposes, and would like to invite IATEFL LTSIG members to submit a CPD statement elaborating on how a PCE on digital feedback would benefit their teaching context. The deadline for applications is November 12th 2018, 17.00 GMT, and the results will be announced by November 30th. We are delighted to have Russell Stannard with us for the day! Russell is the founder of TeacherTrainingVideos.Com. Previously a Principal Teaching Fellow at the University of Westminster and the University of Warwick, he is now a NILE associate trainer where he runs short courses on the flipped classroom, as well as teaching on the master’s programme. 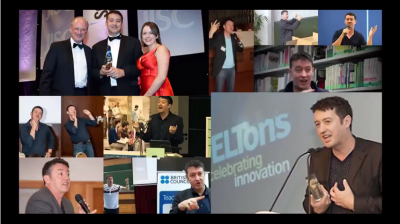 He was awarded the British Council ELTons Innovation award in 2010 and nominated again last year, along with NILE, for his Power Up course. He has also won the Times Higher ‘Outstanding Technology Initiative’ award. 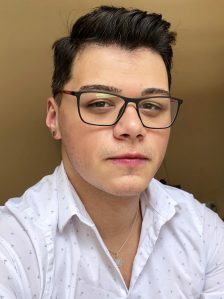 He is particularly known for his work and research into using technology to provide feedback to students and writes columns for English Teaching Professional, Express Publishing Teacher’s Corner and the Move Languages Ahead blog. He has published widely on the topic of feedback and assessment. Russell will be delivering a morning plenary and a practical afternoon workshop. He will be sharing his experience on formative digital feedback, will elaborate on the benefit of applying it and how digital feedback can be put into practice in order to view the impact on the development of language learners. Please find a preliminary programme for the day below. Please note that this will be updated with other speakers closer to the event. 10:15am – 12.30pm Plenary talks on the whats, whys and hows of digital feedback including a plenary from Russell Stannard. 12.30pm – 2.00pm Lunch and networking – your chance to catch up with old friends and make some new ones. 2.00pm – 4.45pm Practical workshops where you can try out tools and tasks for use with digital feedback. 4.45pm – 5.00pm Closing comments, thank yous and goodbyes. Please note that the event is offsite at The Racquet Club Hotel, 5 Chapel Street, Liverpool, L3 9AG. This is a change from the original venue: Avenue HQ. It will run from 10.00am – 5pm. Badges must be collected from the ACC before you join us for the PCE. We would also like to remind you that Early Bird registration is now open, so don’t miss out on what promises to be another thought-provoking and practical event- reserve your spot now! We look forward to welcoming you to our PCE in Liverpool!